Advantage Congress? : Gujarat High Court sets aside Ordinance postponing local polls citing "disturbances"
In what is being widely interpreted as the first major setback to Gujarat's BJP rulers after Narendra Modi left as India's Prime Minister more than a year ago, the Gujarat High Court has junked a recent Ordinance of the state government enabling the State Election Commission (SEC) to postpone local body elections on the grounds that of “unforeseen circumstances”. The ordinance was issued in October first week, less than two weeks after the powerful Patidar agitation rocked Gujarat demanding reservation within the other backward class (OBC) framework. No sooner did Gujarat governor OP Kohli put his sign of approval to promulgate the ordinance, the SEC postponed the polls for three months, after which, it said, it would “review” the ground realities before holding elections. Acting Chief Justice Jayantbhai Patel and Justice NV Anjaria, delivering the verdict, observed that if elections could be held in Jammu & Kashmir, why could they not be held in Gujarat. Two Gandhinagar citizens, Virendrasinh Vaghela and Jagdish Bhatt, had filed a petition on October 9 challenging the Ordinance. 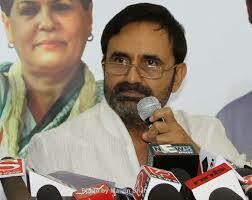 Congress' national spokesperson and High Court lawyer Shaktisinh Gohil appeared as council for the petitioners. Earlier, the High Court put on hold a controversial law, passed in the Gujarat state assembly, to make voting in local body elections compulsory. While declaring the Ordinance void, the High Court noted that the state government had no powers to hand over power to administrators instead of elected representatives, pointing out that the Ordinance violated clause 15 and 257 of the Gujarat Panchayat Act. Following the High Court’s verdict, the SEC sought a stay on the order citing that the state government might be keen to approach the Supreme Court. Gohil challenged the argument, saying that this would only “violate the spirit of the Constitution.” The High Court declined to entertain the SEC plea. This is for the first time since October 2001, when Narendra Modi took charge of the Gujarat BJP as the chief minister that the ruling party seemed to be running scared of polls. In fact, after Modi took over power, the Election Commission of India rejected state government plea for polls citing widespread communal clashes, which Modi opposed tooth and nail.